We are so pleased to formally announced the debut edition of our annual awards ceremony targeted at recognizing female millennials in Nigeria. 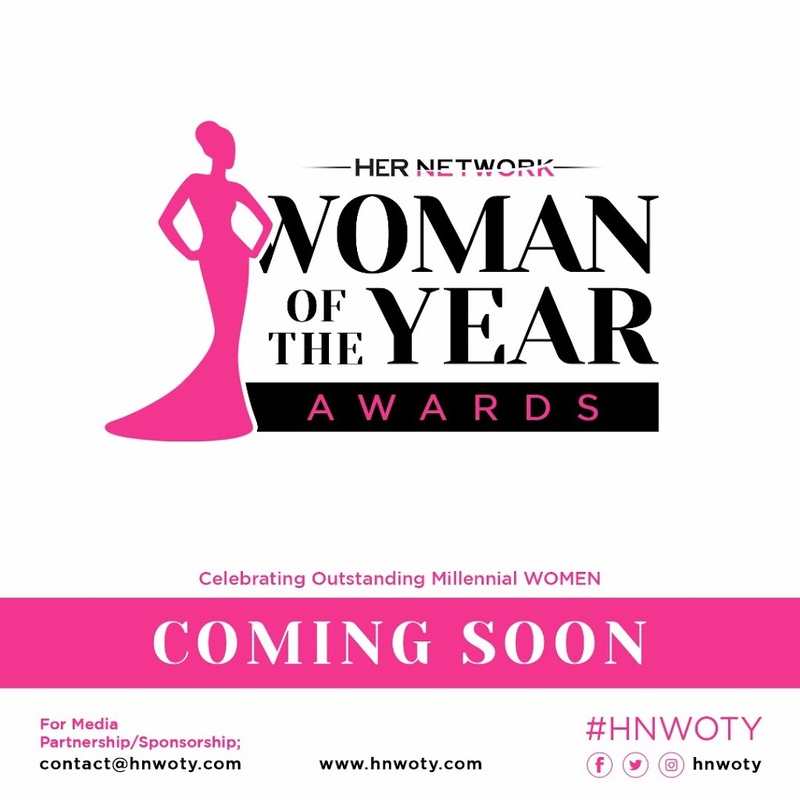 Her Network Woman of the Year (#HNWOTY) Awards is designed to publicly celebrate and honour millennial women in diverse industries who manifest admirable zeal in their industry, identified by their ability to positively affect lives by changing the narrative through their work and leaving a legacy for future generations. Stemming from the success of our recently concluded #IAMHERCampaign run by the platform on social media, the public will subsequently be able to nominate women of their choice (in Nigeria) in just one of twenty unique categories. Nominations for the HNWOTY Awards will be opening in a few weeks. Let us discover and celebrate women who through their work, in their respective fields and sectors, manifest admirable zeal and tenacity. Some sectors to be featured in the twenty nomination categories include Woman of the year in Arts, Film/TV, Banking & Finance, Business, and Hospitality. The winners will be chosen by a special panel of industry veterans and will be revealed at the awards ceremony later this year. Every millennial female excelling in a featured nomination category is eligible for nominations by the public; further information about nomination modalities will be released in due course.